Who are Huf, Beru and Doduco? The first cars to be supplied with tyre pressure monitoring sensors in the late nineties used Doduco brand sensors. 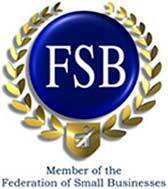 They were then purchased by Beru in 1999 and subsequently by Huf in 2011. 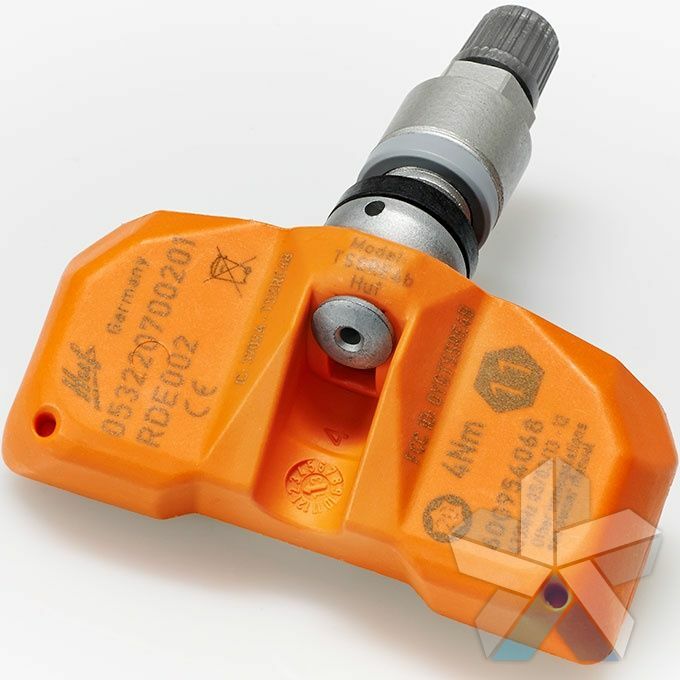 Are these sensors the same as my factory fitted tyre sensors? 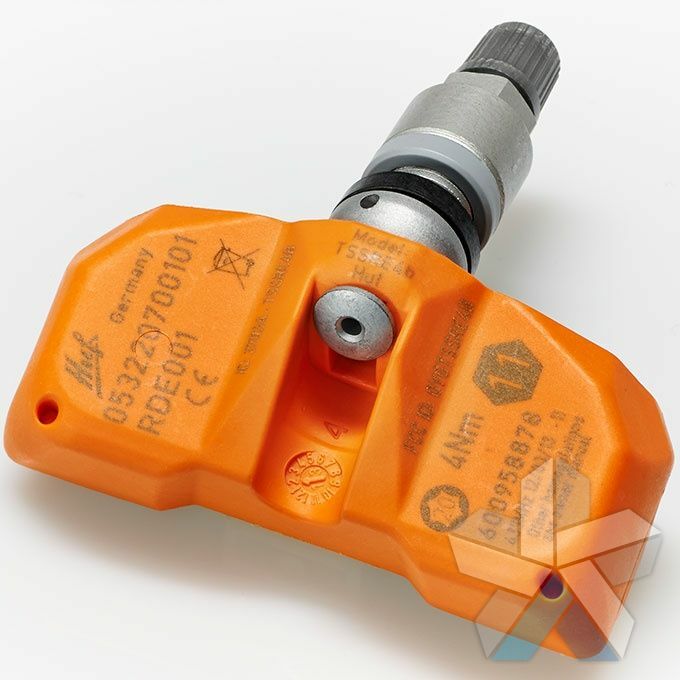 If your car was factory fitted with Doduco, Beru or Huf TPMS sensors, then you can purchase the appropriate sensor on this page to replace it. 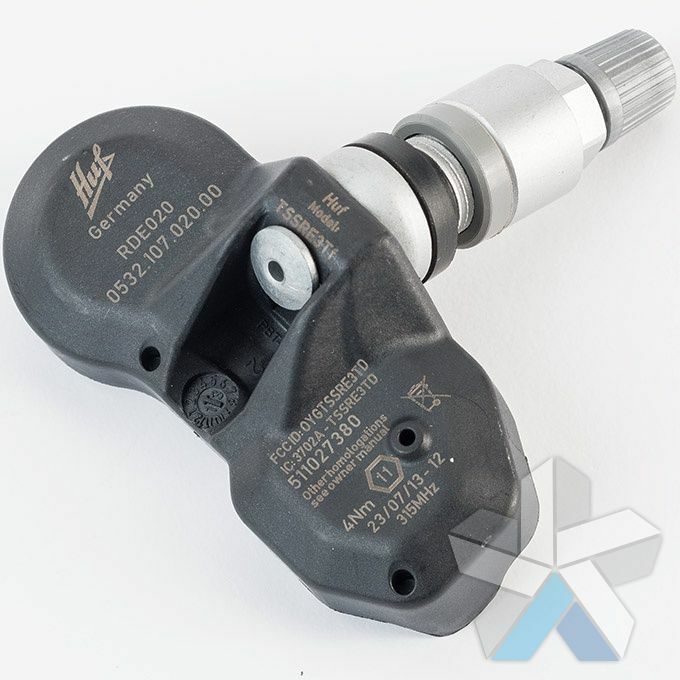 The only difference between an original factory fitted Huf OE sensor and a Huf replacement OEM sensor is the logo that is printed on it. How long does the battery last? Around 10 years. 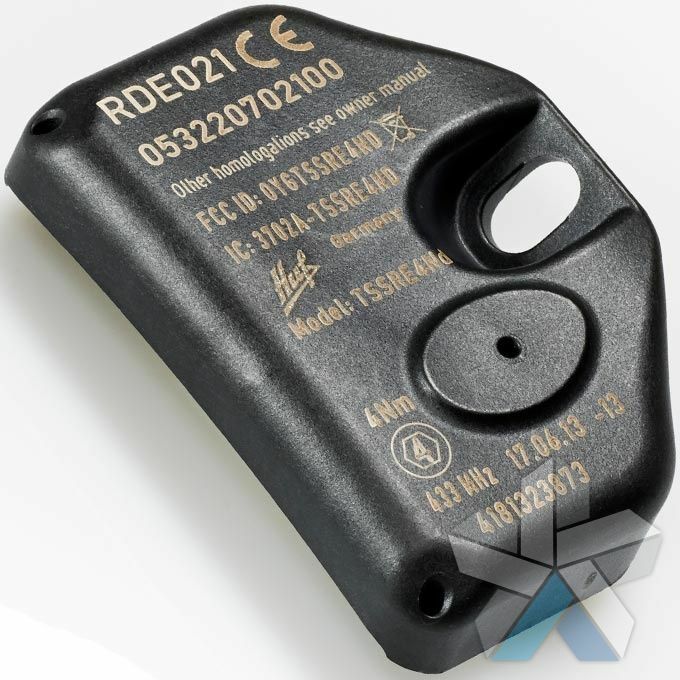 Even the early sensor types that had 7 year battery lifetimes have been updated to use the new style cases and batteries for the electronics. 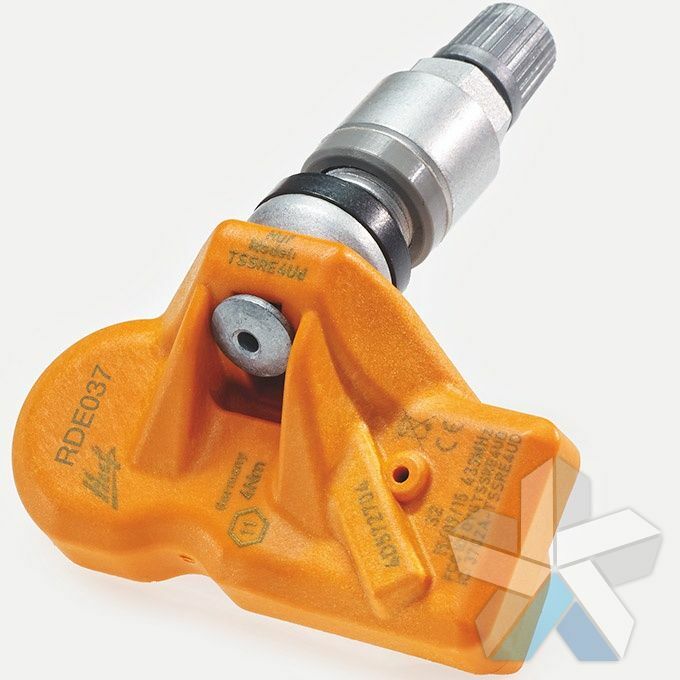 Do these need programming to work on my car? 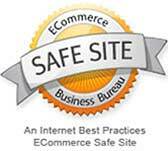 You won't need to visit your main dealer! 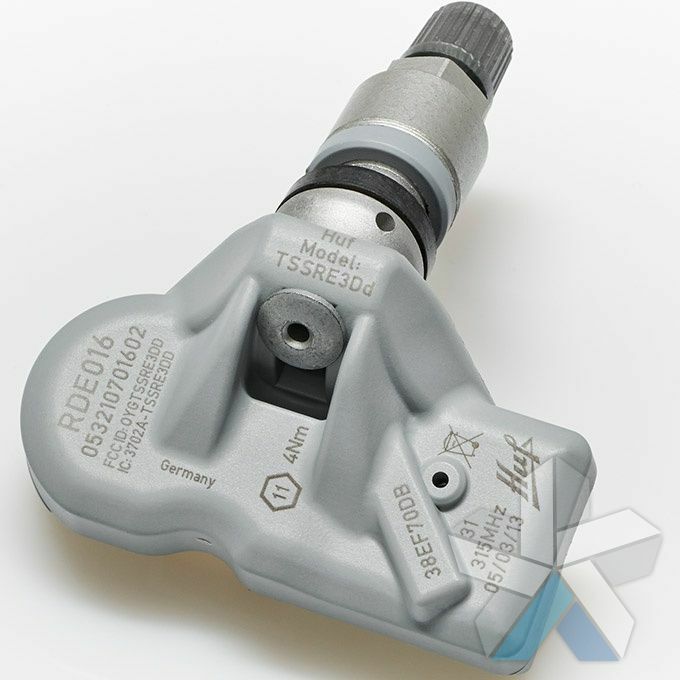 Just look in your owner's manual for the reset procedure. 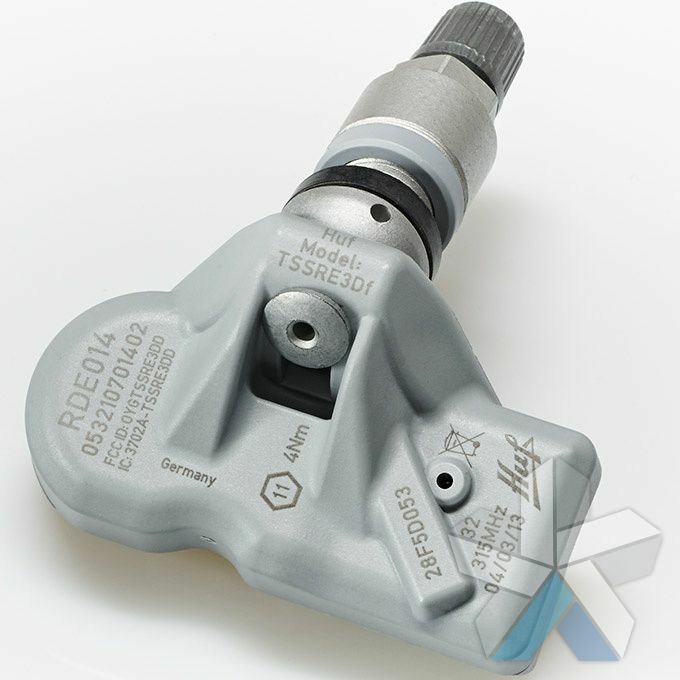 It's usually an extended key press and then a short journey to teach the car the new sensors. 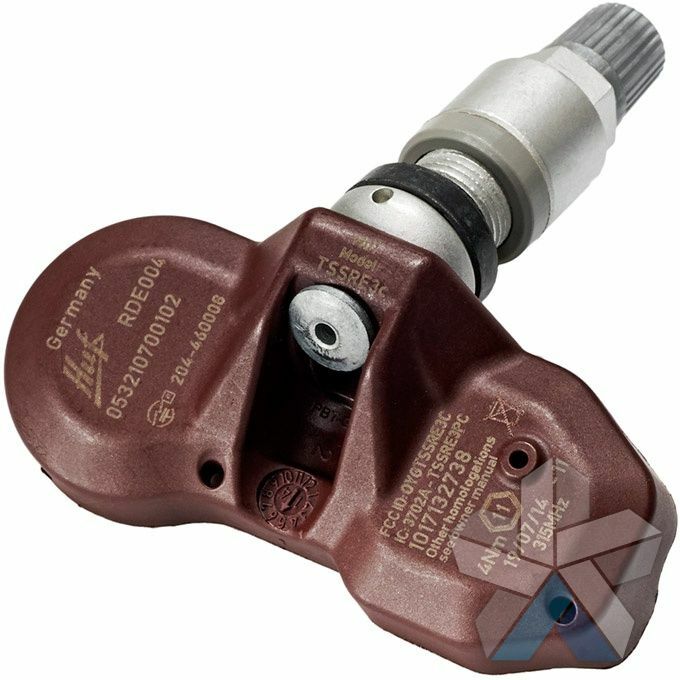 Which sensors do I need? 1. 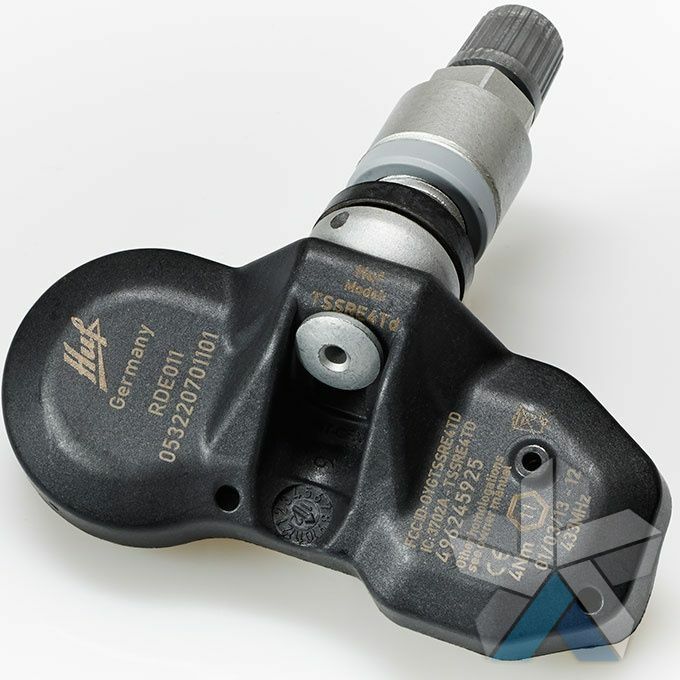 Already have the factory (Porsche, BMW etc) part number? Find it on this page by pressing <ctrl>+f then typing the factory part number. 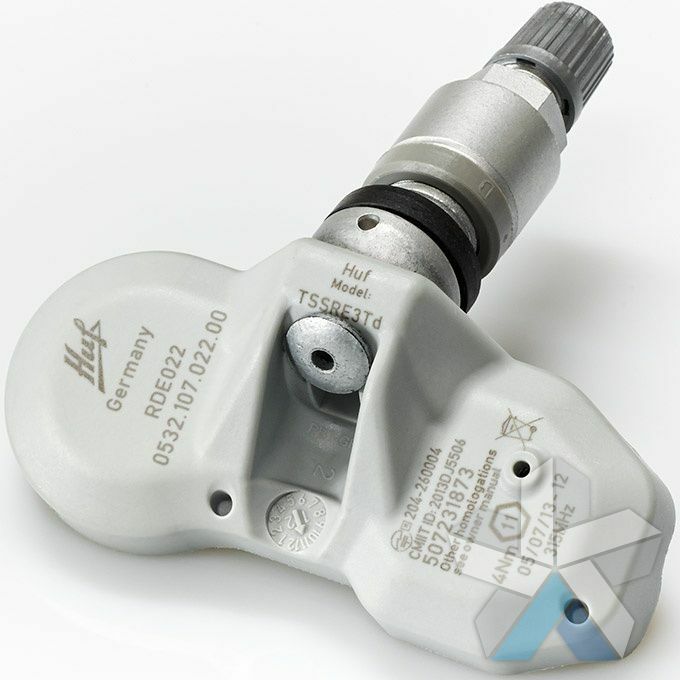 The correct Huf replacement sensor will be highlighted. 3. 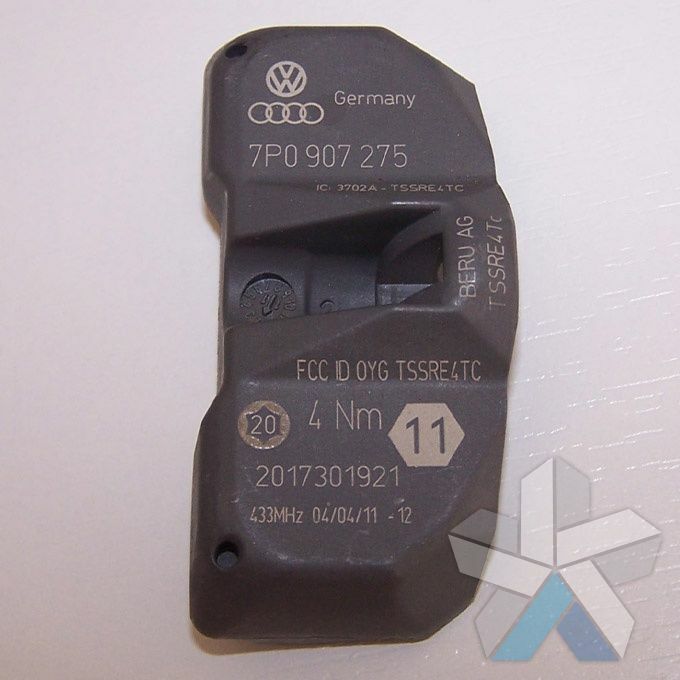 Please email us with your VIN/chassis number, or your VRM (UK car registration number) and we will reply advising which sensor you need. 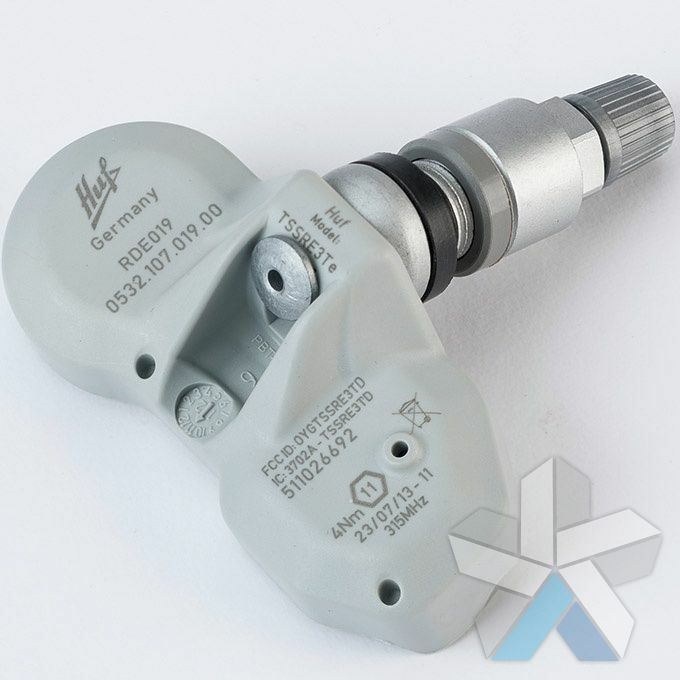 Do they come with valves? Yes, all sensors (except the RDE009 and RDE021) come complete with either a 43mm silver aluminium Alligator RDV021 bolt-in valve, or an RDV041 rubber snap-in valve. See the photos below. 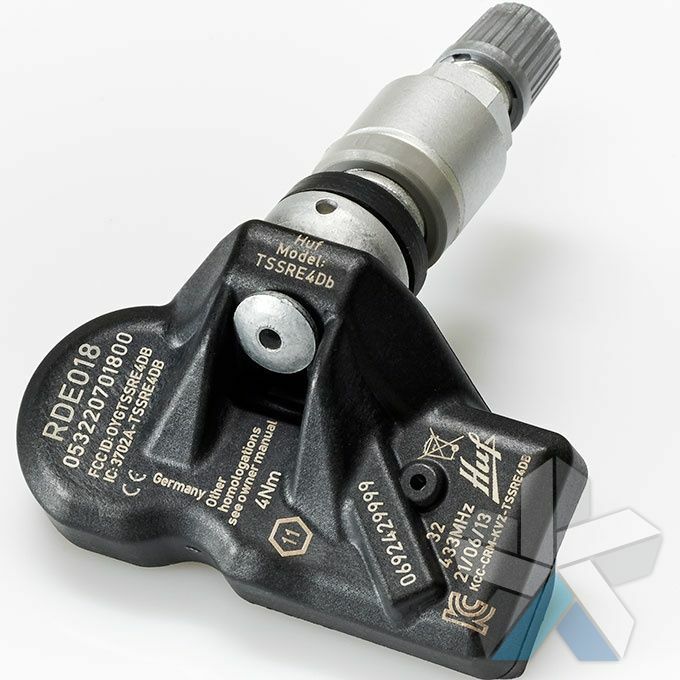 TPMS tyre pressure monitoring sensor for vehicles using the Doduco Beru Huf system. 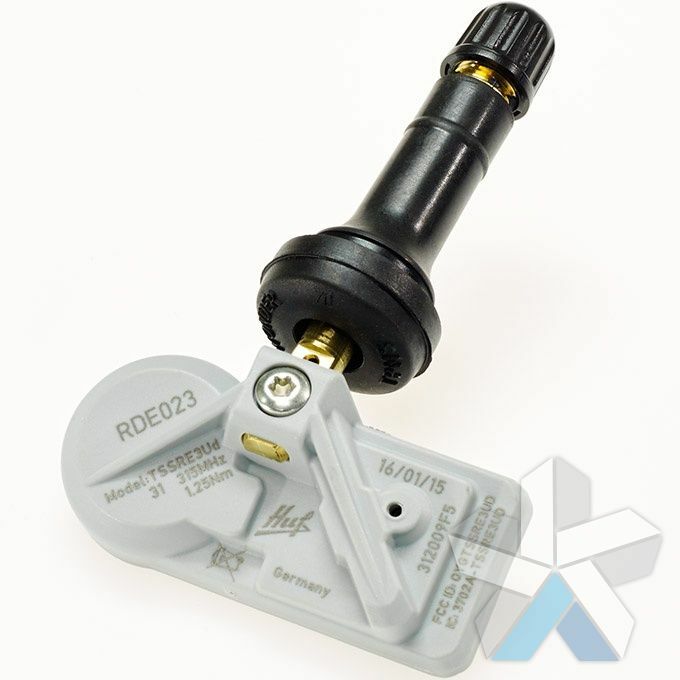 The RDE002 RDE 002 tyre pressure sensor is a Generation 1 433MHz standard power output TPM sensor and replaces the following manufacturers' tyre sensor part numbers: BMW 36118378682 36112360420, Schrader 65736-67, Schrader USA 20080. Huf/Beru part number 0532207002. TPMS tyre pressure monitoring sensor for vehicles using the Doduco Beru Huf system. 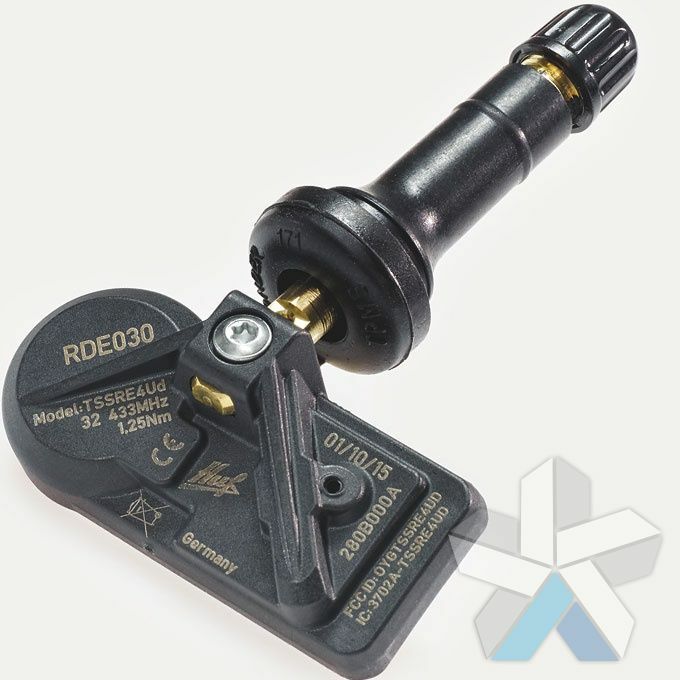 The RDE003 RDE 003 tyre pressure sensor is a Generation 1 433MHz high power output TPM sensor and replaces the following manufacturers' tyre sensor part numbers: BMW 36146752128 36146872887, Land Rover YDB000050 YDB000060 YDB000061, Schrader 65737-67, Schrader USA 28082. 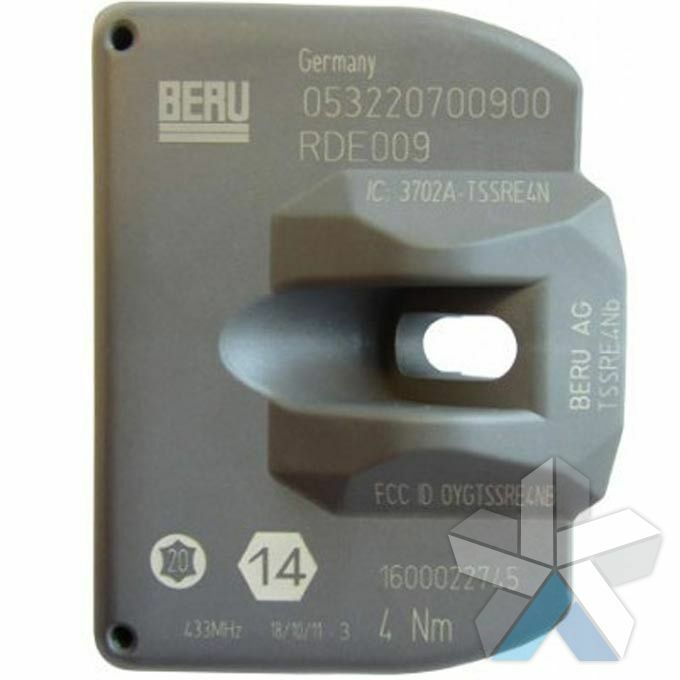 Huf/Beru part number 0532207003. TPMS tyre pressure monitoring sensor for vehicles using the Doduco Beru Huf system. 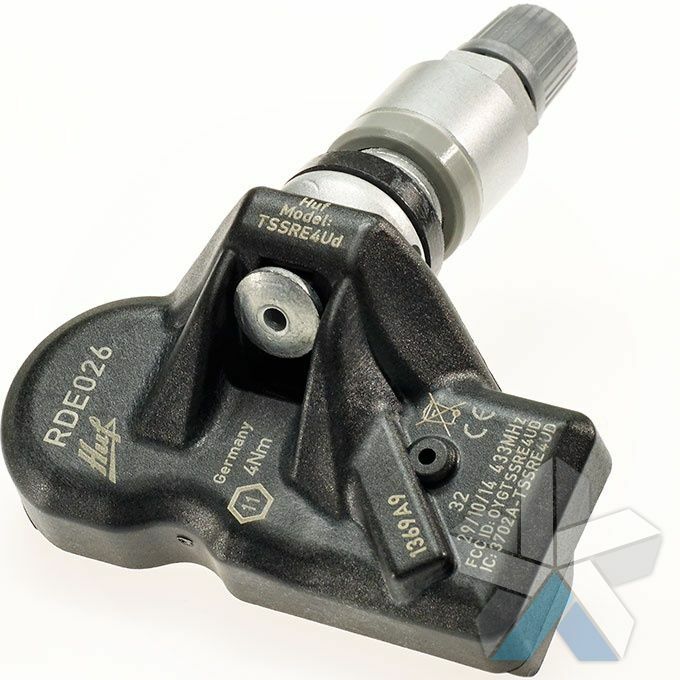 The RDE004 RDE 004 tyre pressure sensor is a Generation 1 315MHz standard power output TPM sensor and replaces the following manufacturers' tyre sensor part numbers: Audi/VW 4D0907275A 4D0907275D, BMW 36118378681, Ferrari 224548, Maserati 224548, Mercedes-Benz A0008223406 A0055422418, Porsche 99760602300 99760602302, Schrader USA 20079. Huf/Beru part number 0532107001. TPMS tyre pressure monitoring sensor for vehicles using the Beru Huf system. 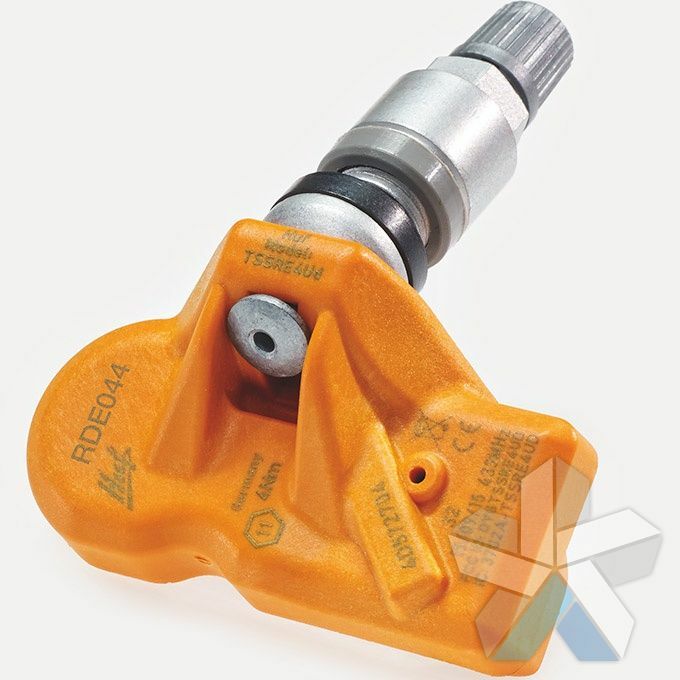 The RDE005 RDE 005 tyre pressure sensor is a Generation 1 433MHz high power output TPM sensor and replaces the following manufacturers' tyre sensor part numbers: Audi/VW 7L0907275 7L0907275B, Ferrari 193867 224551, Porsche 95536166100 95536166101, Schrader 65738-67, Schrader USA 20079. 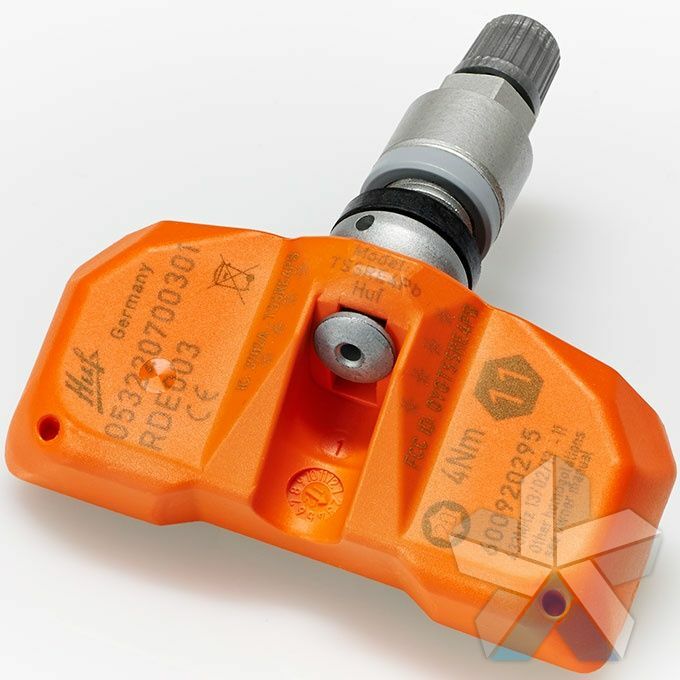 Huf/Beru part number 0532207005. 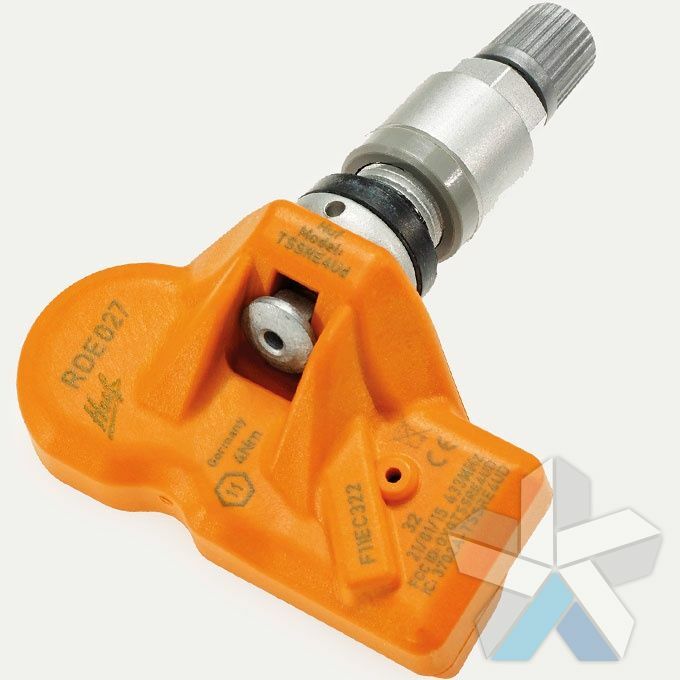 TPMS tyre pressure monitoring sensor for vehicles using the Beru Huf system. 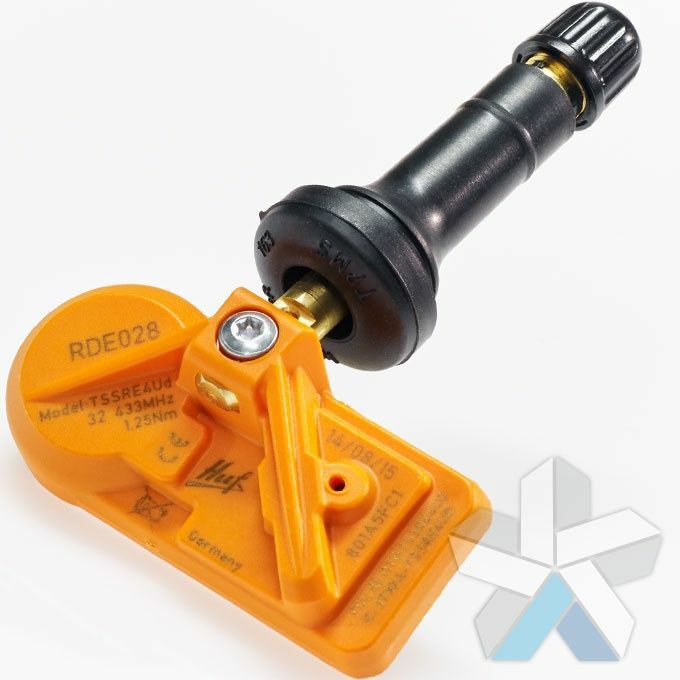 The RDE008 RDE 008 tyre pressure sensor is a Generation 2 433MHz standard power output TPM sensor and replaces the following manufacturers' tyre sensor part numbers: BMW 36236771034 56236779490 36236781847, Rolls Royce 36236781847, Schrader USA 20083. 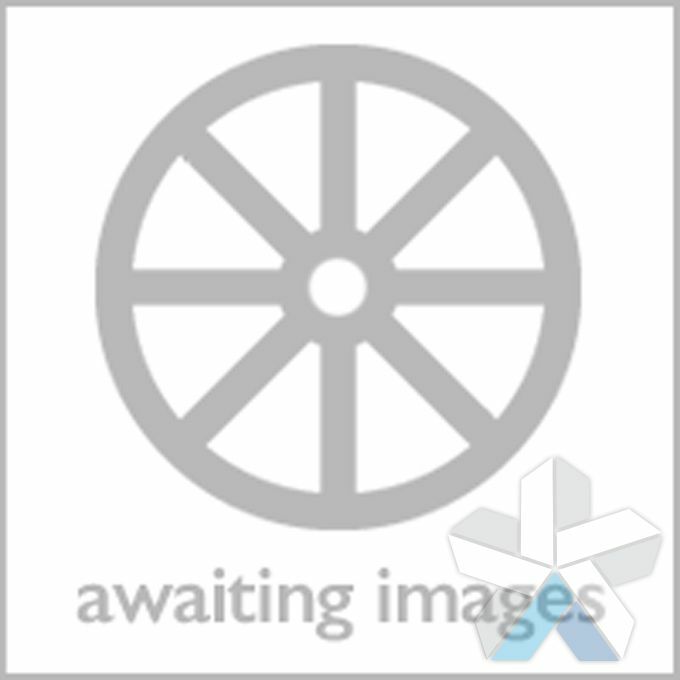 Huf/Beru part number 0532207008. TPMS tyre pressure monitoring sensor for vehicles using the Beru Huf system. The RDE009 RDE 009 tyre pressure sensor is a Generation 2 433MHz super high power output TPM sensor and replaces the following manufacturers' tyre sensor part numbers: ITEC 3601106C2, Nova Bus N45174, Volvo 21476862, Prevost 564076. Huf/Beru part number 0532207009. 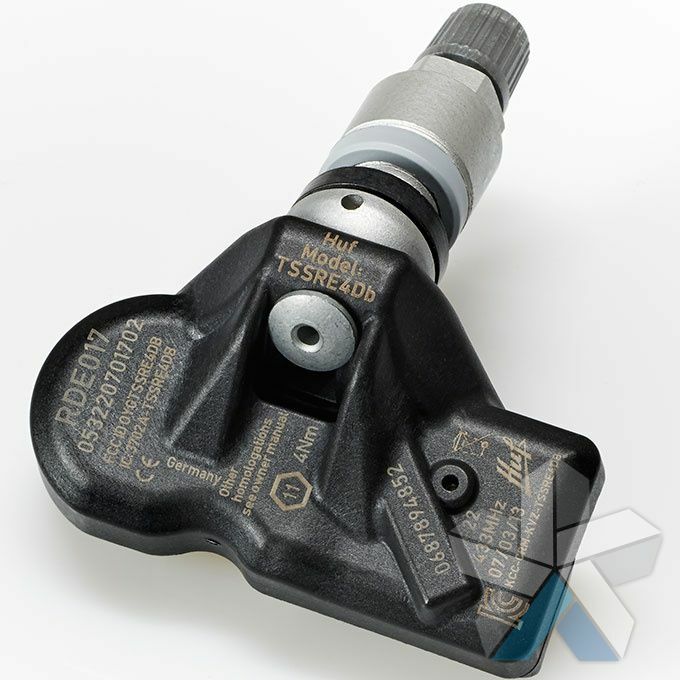 TPMS tyre pressure monitoring sensor for vehicles using the Beru Huf system. The RDE011 RDE 011 tyre pressure sensor is a Generation 2 433MHz standard power output TPM sensor and replaces the following manufacturers' tyre sensor part numbers: Audi/VW 4F0907275D 7P0907275, Bentley 4F0907275D, Porsche 95836166100, 7PP907275B, 7PP907275D, 7PP907275F, Schrader 135.82.68 66080-67, Schrader USA 20103. Huf/Beru part number 0532207011. TPMS tyre pressure monitoring sensor for vehicles using the Beru Huf system. The RDE012 RDE 012 tyre pressure sensor is a Generation 3 433MHz standard power output TPM sensor and replaces the following manufacturers' tyre sensor part numbers: BMW & MINI 36106790054 36106856227 36xx4078787, Schrader 135.80.02 66081-67, Schrader USA 28081. Huf/Beru part number 0532207012. 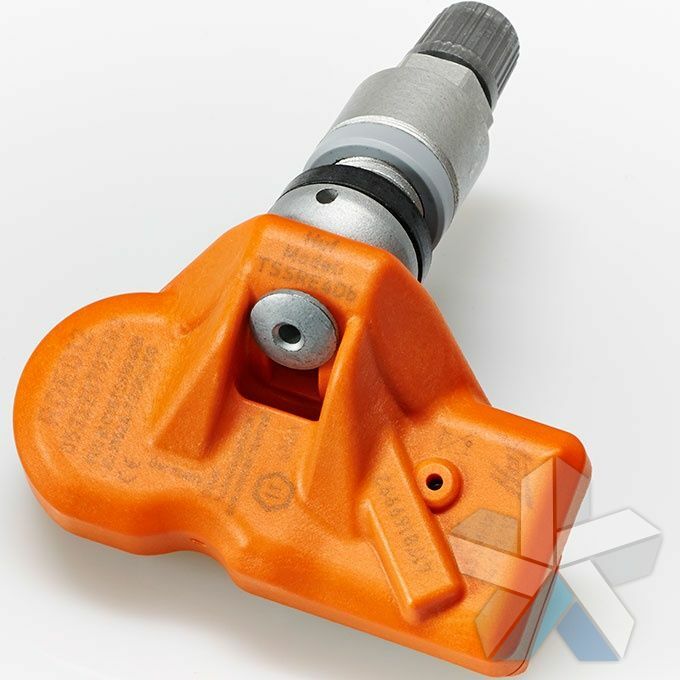 TPMS tyre pressure monitoring sensor for vehicles using the Beru Huf system. The RDE013 RDE 013 tyre pressure sensor is a Generation 3 433MHz standard power output TPM sensor and replaces the following manufacturers' tyre sensor part numbers: Audi/VW 3AA907275. Huf/Beru part number 0532207013. TPMS tyre pressure monitoring sensor for vehicles using the Beru Huf system. 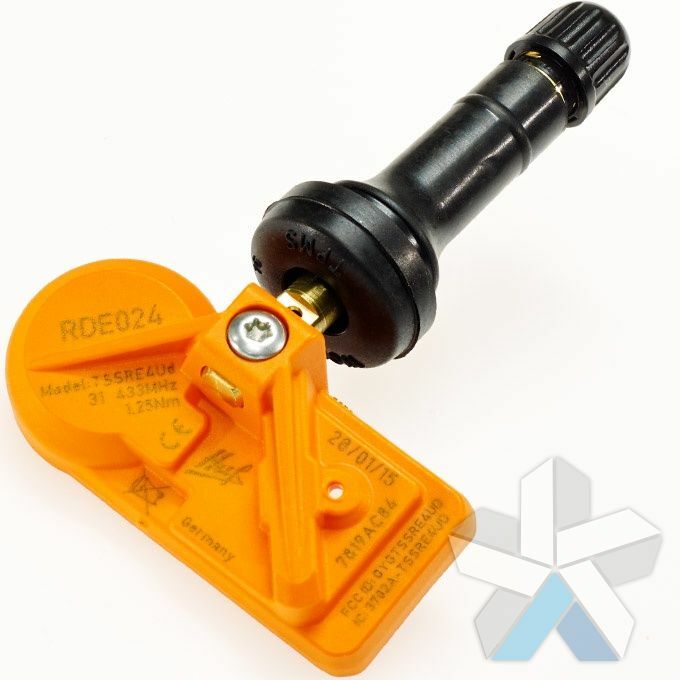 The RDE017 RDE 017 tyre pressure sensor is a Generation 3.4 433MHz standard power output TPM sensor and replaces the following manufacturers' tyre sensor part numbers: BMW 36106798872 36106874830. Huf/Beru part number 0532207017 100055 RDE017V21.